Born in Sendai and graduated from the Music High School attached to the Faculty of Music, Tokyo University of the Arts. Ohira continued her study at the Tokyo University of the Arts, however, she was invited to study at the San Francisco Conservatory in the United States after 3 months. While at the conservatory, she won the first prize at the Coleman Chamber Competition and was presented Silverstein Award from Berkshire Music Festival in Tanglewood as the best violinist. After her graduation, she became a lecturer of the conservatory and of the Stanford University and actively performed as a member of Stanford String Quartet and Philadelphia String Quartet worldwide. After having posts of the concertmaster of Pasadena Chamber Orchestra, an associate concertmaster of Syracuse Symphony Orchestra, the principal second violin of Vancouver Symphony Orchestra, an assistant concertmaster of Tokyo Symphony Orchestra, Ohira became a guest concertmaster of Yomiuri Nippon Symphony Orchestra, and was a representative of Japan for the United Nations 50th Anniversary Orchestra (conducted by Sorti) in Geneva in 1995. 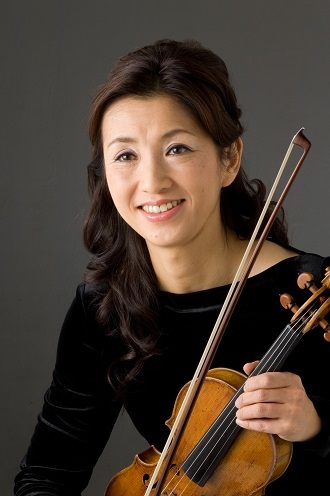 At the same year, Ohira became the concertmaster of the Sapporo Symphony Orchestra. Her first album “ALL MY LOVE” was released in March 2008 which became the best album in the Classic CD Chart, Japan. She released 8 CDs by 2018. Ohira is energetically visiting hospitals and facilities, and giving lectures at seminars as a soloist. She is also a writer and her first essay was published in 2014, “I will play till the age of 100.” She was awarded the Sapporo Arts Prize in 2009 and Soroptimist Japan Foundation Social Contribution Award in 2012.